BC Cattlemen's and AgSafe BC created an Emergency Management Workshop series that traveled to 12 towns across the province over eight weeks. The workshops were kindly sponsored by Imperial Oil and Horse Council of BC. For anyone who missed the workshops or would like a refresher, the following documents summarize the teachings of the workshops and include a fillable PDF emergency plan for your ranch or farm, that was created by BC Agriculture & Food Climate Action Initiative. The Canadian Animal Health Coalition(CAHC), in partnership with with BC Cattlemen's, has produced a handbook for BC beef producers to utilize in the case of an animal health emergency. The handbook can be found hereas a PDF. The Code of Practice for the Care and Handling of Beef Cattle was released in 2013. The Code is a nationally developed guideline for the care and handling of beef cattle. The National Farm Animal Care Council leads the development of the Code. 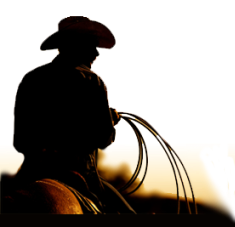 Please click on the links below to find some useful fact sheets from WorkSafeBC about ranch safety considerations, as well as some frequently asked questions about workers and volunteers on your ranch. Launched in the spring of 2014, the Western Livestock Price Insurance Program is a risk management tool that protects cattle producers from unexpected changes in the cattle price market. For more information, click on the WLPIP logo above or call 1 844 782 5747. Facilitated by Monty Crisp of Risk Reduction Strategies, the BC Ministry of Agriculture, with assistance from BC Cattlemen's Association has developed an on-farm emergency management guide to assist ranchers in preparing for, and dealing with emergency situations such as fire, flood, animal disease outbreak, etc. Click on the link below to download an electronic copy or contact Mark Raymond, Ministry of Agriculture for a paper copy. The guide is divided into sections for each type of emergency, in a binder format to allow producers to insert information from other sources, or insert pages from this guide into other locations, such as farm safety plans. We've also added a page 7b for information on brand inspection. Online Registration - click here for online registration - you will need to create a username and password, but the process is quick and easy. Following submission to the Ministry of Agriculture, you will be assigned an alpha-numeric BC Premises ID. **If you registered online, the process is already complete. If you submitted a paper application, or did not provide a BC Land Titles Parcel Identifier, a map will be sent to you for confirmation. We recommend you update your CLTS account with the new BC Premises ID#. Click here for instructions. If you think you may already have a premises ID, but want to verify its validity, please use this National Premises Lookup tool. Simply type in your premises ID number - it will indicate VALID (everything is up to date), CONDITIONAL (you may need to check with Ministry of Agriculture to verify), or UNCONDITIONAL (you don't yet have a valid BC Ministry of Ag premises ID -follow registration instructions above. For more information, visit the BC Premises ID Program page.